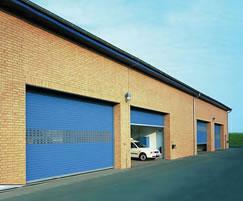 Manufactures, supplies and installs overhead rolling doors for industrial applications. 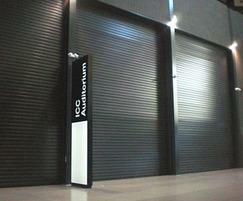 Produced from 50, 76 or 100mm galvanised steel slats, the doors are available with two lath variations: solid laths for a strong physical deterrent, or perforated laths which combine the security of a solid door with the through-vision of a grille. 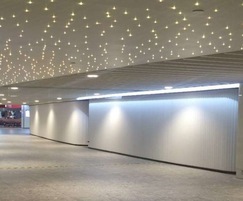 Rolling doors can also be produced with a combination of solid and perforated laths. 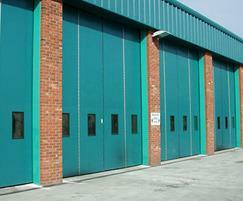 Email: info@hag.co.uk |Description Manufactures, supplies and installs overhead rolling doors for industrial applications.